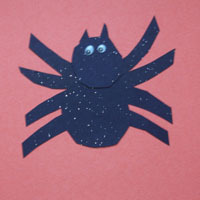 Spider Crafts, Science Lessons, Activities, Games, and Printables for Preschool and Kindergarten. SPECTACULAR SPIDERS. 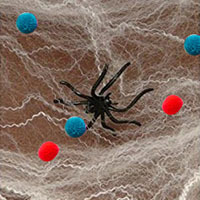 Spiders are much more than just small, eight-legged, eight-eyed creatures that spin webs. 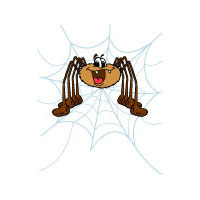 Did you know that some spiders don't even spin webs? 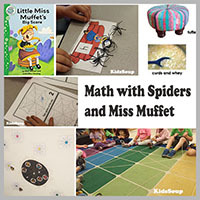 Learn about spiders, play spider games, learn with spider activities and lessons, sing a spider song, eat a "spider" snack, and create a spider craft. 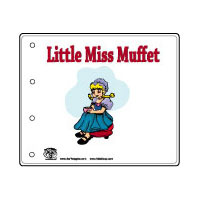 The Little Miss Muffet rhyme and activities, the itsy bitsy spider, and of course, Halloween, are a great time to learn about this very helpful creature. but I can spin a web. Spider Craft Cut an egg carton into little cup sections. Paint egg carton cup with black paint. Let it dry. 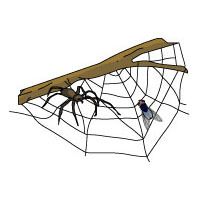 Using an awl or screwdriver, make eight holes in the bottom edge of the egg carton cup for the spider's leg. Cut some chenille stems into small pieces. Push a chenille stem in one side of the cup and out the opposite side and bend the leg. Repeat to make the other legs. Glue a pom-pom on top of egg carton cup. Glue on wiggle eyes. 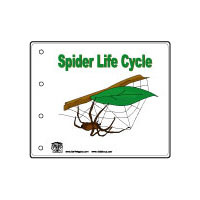 Ask children about their experiences with spiders. Do they like them or not? 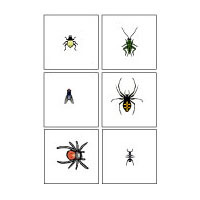 Look at different pictures of spiders. 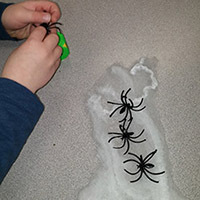 Discuss how spiders look, what they do, and why children are or are not afraid of them. 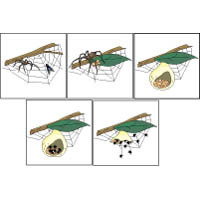 Explain that spiders have eight eyes but cannot see very well. Most of them are very small and not dangerous. They help us by eating insects that we may not want to have around. Science: Go outside to find a spider web. 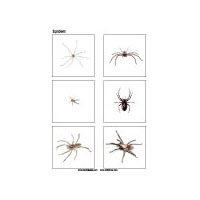 Look at different pictures of spiders. Spiders are not insects. Spiders are arachnids. Insects have three body parts and six legs, whereas spiders have eight legs and two body parts, the abdomen and the thorax. Most insects have wings but spiders don't. Of their favorite food: it's bugs! 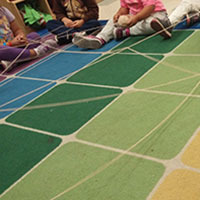 Children sit in a circle. Hold the end of a ball of white yarn in your hand. Hand the ball of yarn to a child and call out the name of a child that sits slightly accross from you. The child with the yarn needs to walk to the child by letting out yarn as he/she goes. The child hands the ball of yarn to the child and sits down on the child's seat holding on to the yarn. Call out the name of another child that sits across from the child. Repeat. 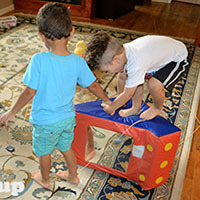 When the spider web is finished and all children are holding on to the web, let children place the web on the floor. 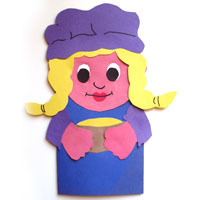 Recite the rhyme and choose one child to start and call in a friend at the appropriate time. 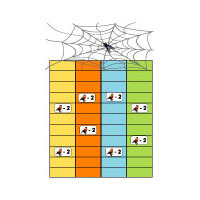 When four children are crawling around the web, choose a fifth child to be the spider, who then crawls in and eats them up. They called for another bug to come. They got stuck, all in a bunch. And along came spider, in time for lunch! 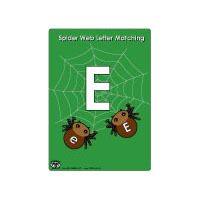 More great spider rhymes and songs from Jean Warren. 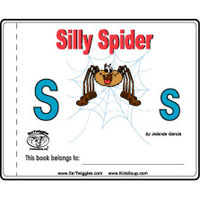 Sing "The Itsy Bitsy Spider" with movements. Listen to the song and view a cute animation. Have a child walk around quietly like a spider to some music. The rest of the class has their eyes closed and heads down. When the music stops, the spider hides somewhere close. 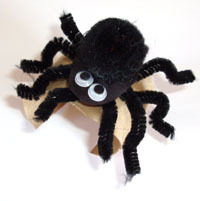 Choose a child to walk around to see if she/he sees a spider moving.